In 2004, Cary, North Carolina real estate broker and mother-of-two Mary Ann Feagan, then 47, noticed a lump in the outside corner of her left eyelid. Following a biopsy surgery at Duke, she was diagnosed with a slow-growing type of non-Hodgkin lymphoma and referred to hematologic oncologist Joseph Moore, MD, for chemotherapy treatment. She was in treatment for about two years after which her scans showed no sign of the cancer. Feagan’s experience with lymphoma and a subsequent battle with breast cancer would lead her down an unexpected path of advocacy and support for two cancer causes. 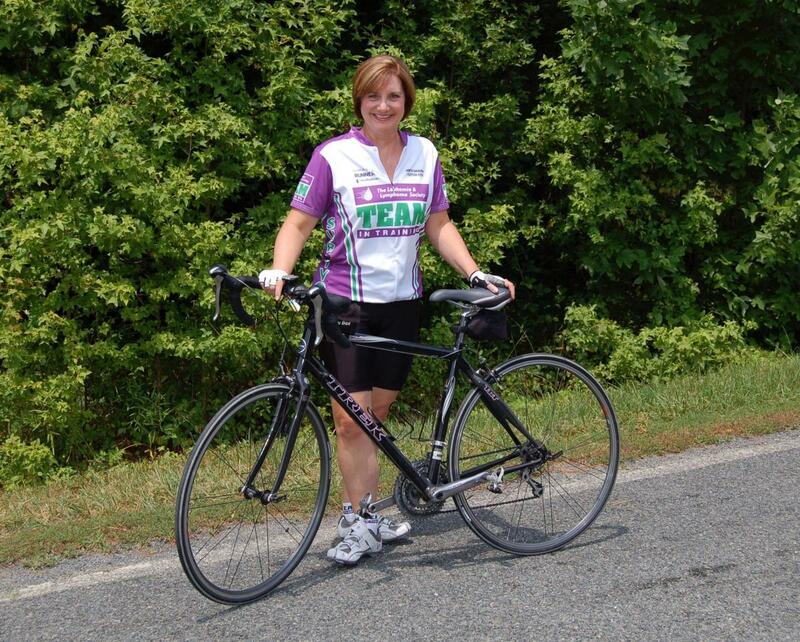 “After my lymphoma treatment was complete, I wanted to give back, so I trained with Team in Training, cycling to raise money for the Leukemia and Lymphoma Society (LLS),” said Feagan, who, at 50, surprised herself by completing a 100-mile (century) ride in 2007, then doing it all over again in 2010 and 2011, raising over $10,000 for LLS. In 2014, while preparing to train for another century ride, she again found herself at the doctor’s office getting a suspicious lump checked; this time in her right breast. Following a mammogram and ultrasound of both breasts, she was referred to Carolina Breast Care Specialists to have the cyst aspirated. It was benign. She was concerned, however, when a lump she’d felt in her left breast wasn’t picked up by either scan. Given her family history, Feagan’s doctor referred her for an MRI. Her mother had died of metastatic breast cancer at 45 when Feagan was just a teen, and two of her three sisters had been diagnosed and treated in 2007 for breast cancer — one with ductal carcinoma in situ and the other with lobular carcinoma in situ. The MRI, confirmed by a biopsy, revealed a malignant tumor in her left breast the size of a lime — stage 2b invasive ductal carcinoma. Feagan underwent a bilateral mastectomy, followed by breast reconstruction, hemotherapy, and a five-year course of the estrogen modulator drug Tamoxifen. Today, four years cancer-free, the two-time cancer survivor feels blessed to be here and continues to give back. She’s got big plans this fall, starting with the September wedding of her daughter Joanie (a Neonatal Intensive Care nurse at Duke) then two charity walks. Committed to raising awareness, Feagan will both volunteer at and walk in the annual American Cancer Society Making Strides Against Breast Cancer walk in Raleigh, North Carolina, in October. 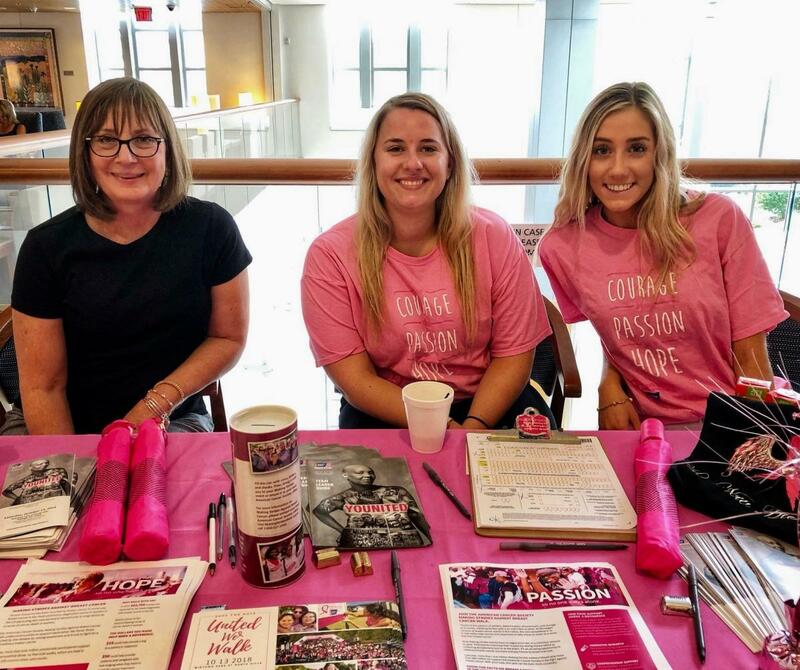 “I’m always inspired by the stories of other women who have survived breast cancer and are thriving,” said Feagan, who’s served as a volunteer on the Making Strides planning committee for the past two years. In November, Feagan will again step up for a cause close to her heart. She’ll come out to support the Leukemia & Lymphoma society, not on a bike this time, but as a walker in the Light the Night walk with Team Duke Cancer Center Durham. On Saturday, October 13, the American Cancer Society will host its annual Making Strides Against Breast Cancer walk, to raise funds for breast cancer awareness and research. The event will be held at Midtown Park at North Hills, Raleigh. Duke Cancer Institute, for the fourth year, is serving as the local presenting sponsor. To join or support a Duke team visit Team Duke Cancer Center Durham, co-led by honorary team captains Rachel Blitzblau, MD, PhD, and Jennifer Plichta, MD, or Team Duke Women's Cancer Care Raleigh, led by honorary team captain Gayle DiLalla, MD. On Saturday, November 3, the North Carolina Leukemia & Lymphoma Society will host its annual Light the Night walk to raise funds for blood cancer awareness and research. The event will be held at Cary's Booth Ampitheatre, 8003 Regency Parkway. To join or support a Duke team, visit Team Duke Cancer Center Durham, led by honorary team captain Danielle Brander, MD, or Team Duke Cancer Center Raleigh, led by honorary team captain David Zaas, MD.